If there is one thing I have learned from living in New Zealand the last four months, is that nothing comes cheaply in this part of the world. Between $6 per gallon of gas and $3 for a 20 oz. bottle of coke, you really have to budget wisely if you want to ‘see it all.’ Kiwis are a resourceful bunch and use a brilliant system of bartering and connections to get things done. In a large country with only 4 million people, there is a plethora of small towns and with that, comes that small town mentality where everyone knows and tries to help everyone else out. I met Mike in a hostel in Malaysia in September. 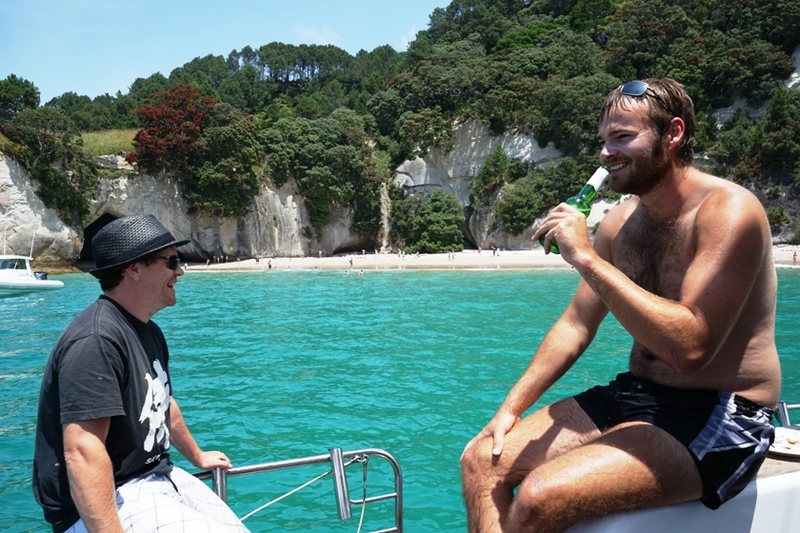 This incredibly friendly Kiwi soldier was delighted to share his ‘must sees’ on the North Island. I excitedly jotted down some spots (one of which was Goat Island). He also offered to show us around if we both had some time off. 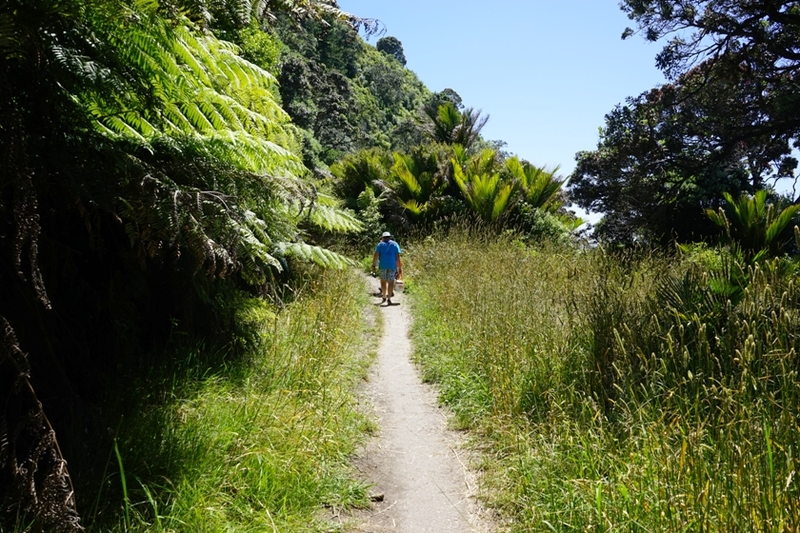 When he invited me to check out the Coromandel Peninsula and stay in his hometown of Whitianga, I tried my best to make it happen. 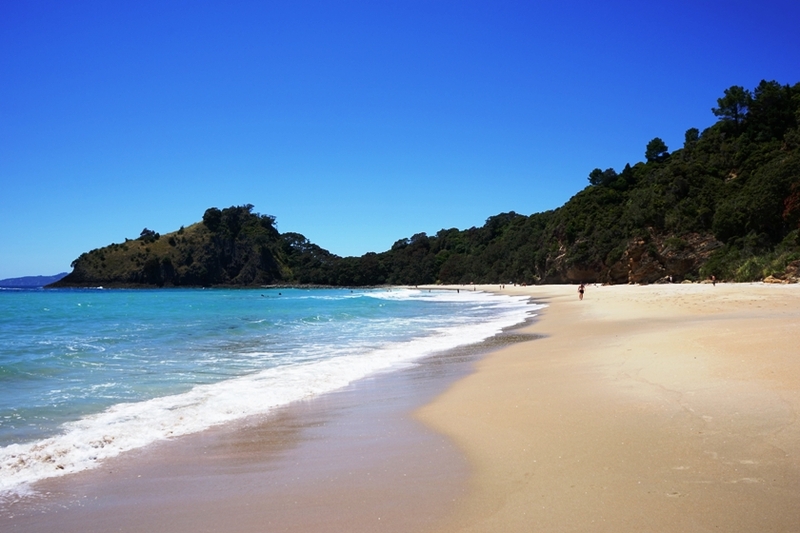 The Coromandel Peninsula is a little over three hours away from Auckland. 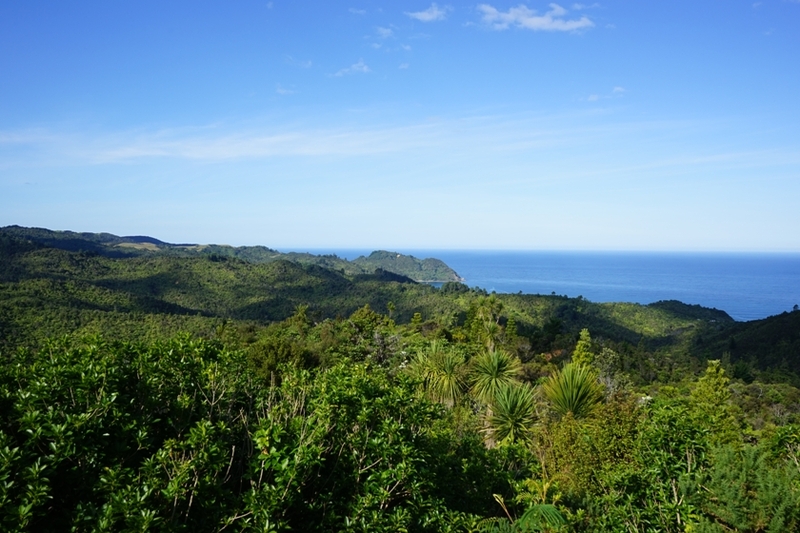 As soon as you enter the forested area, you will notice more shades of green than you ever thought existed. I made a note to stop by and shoot some pictures on the way back, but arrived at his house around 7pm as expected. That night, we just ended up watching a movie and called it in early as we had a big day the following day. 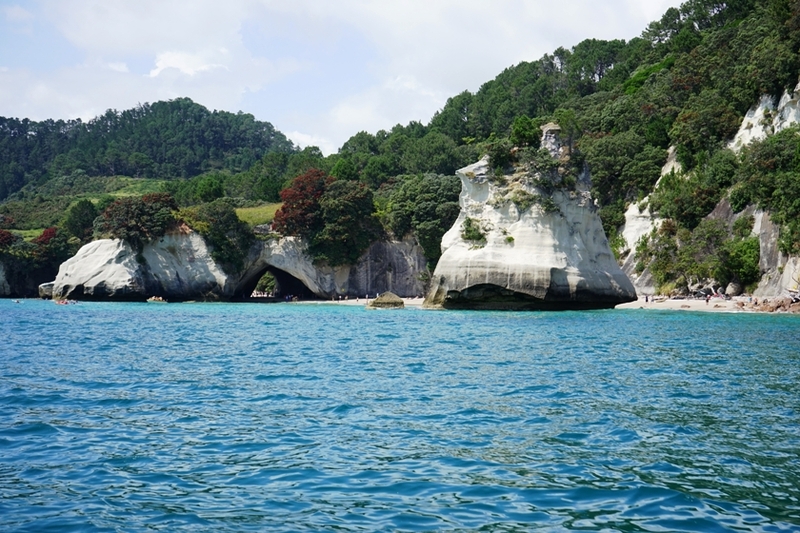 Mike planned a visit of Cathedral Cove and as luck would have it, one of his friends had the same thing in mind. 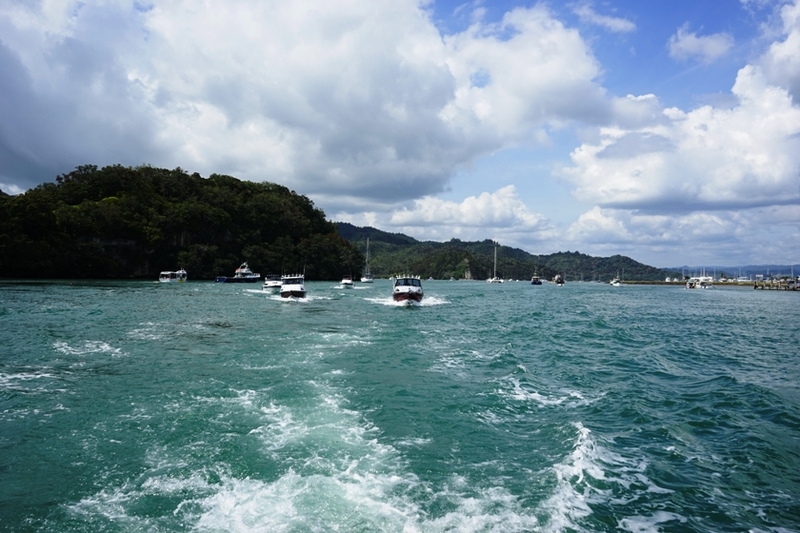 Most people get to the city and take a water taxi to the secluded beach (well, secluded geographically, but everyone seems to know about it) for a day trip. Remember that thing I said about using connections wisely though? His friend happens to have a huge 40 foot boat and offered to take us and a few of his other friends along for the ride. We shared some drinks, snacks, and food before jumping into the water at the famed cove. I took my snorkel gear to the shore but was unable to bring my camera along. It was pretty cool and on the way back, I was even able to go mussel hunting with two other guys. 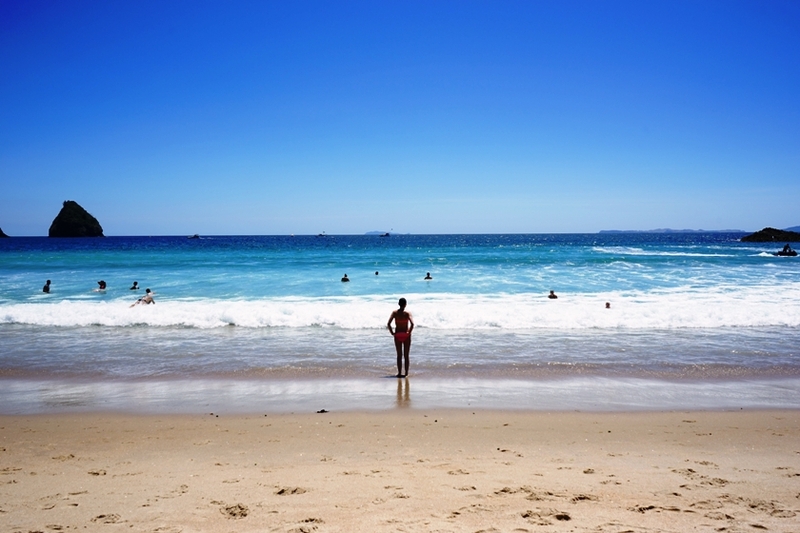 The next day, we decided to take it easy and just chill out on the beach. 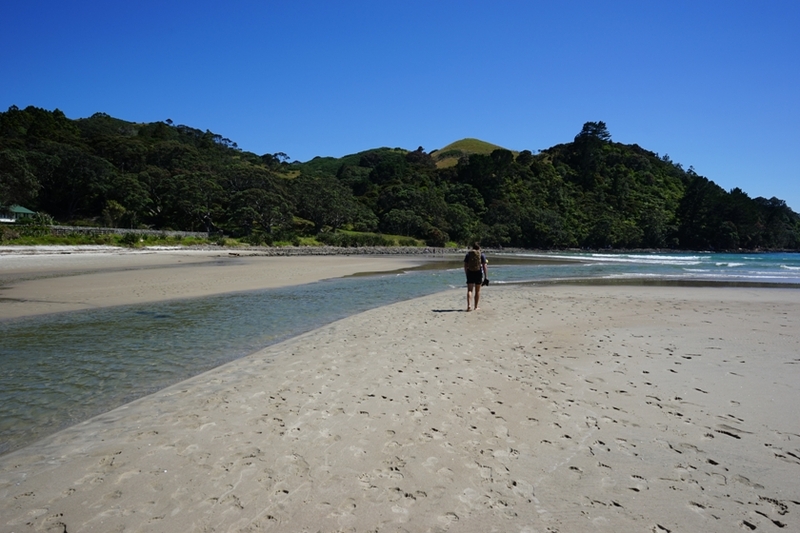 Mike took me to New Chums Beach, which is supposed to be one of the best in all of New Zealand. It definitely lives up to the hype, but like many things in life, it is the journey that makes it worthwhile. New Chums is not just ‘drive, park, and lay on sand’ type of beach and requires a 30 minute hike. The trek starts at a nearby beach and requires that you cross a stream, large rocks, and a gentle trail before arriving in paradise. My backpack decided to shred to pieces during this hike as did my sandals, but it was all good. Unfortunately, the water was still pretty cold, despite it being summer, but I did manage to talk myself into getting in the water briefly. 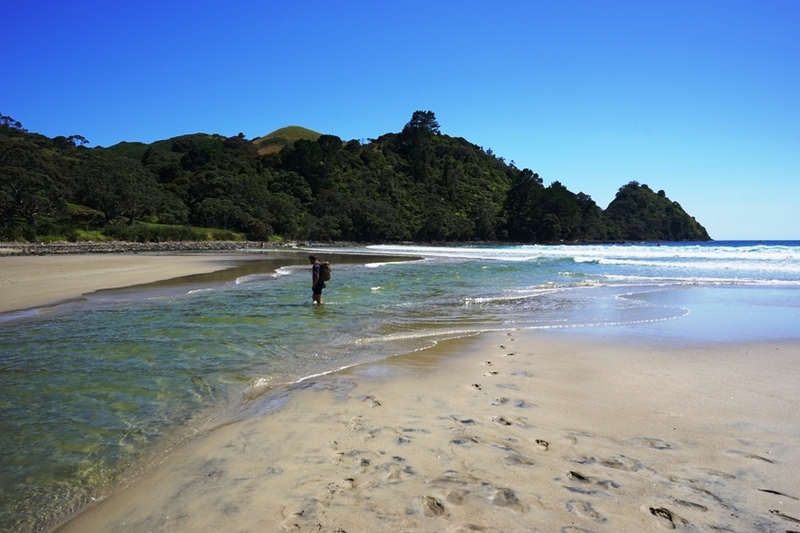 The tides were not right to check out Hot Water Beach, but it just leaves something else to do when I come back. I did remember to stop by and take pics on the way back. ← I Don’t Use The Lonely Planet And YOU Shouldn’t Either!